Description: Frazer's Hush was a modern mine, operating between 1974 - 1999. It was located at the far northwest end of Rookhopeburn, just beyond the Groverake Mine. The workings can be seen in the middle background of the photo, just left of the main Groverake head frame. The Frazer's Hush workings were declines rather than shafts, so no head frames were erected on site. The mine is best known for a find of high quality purple fluorites that happened in 1987-1988. 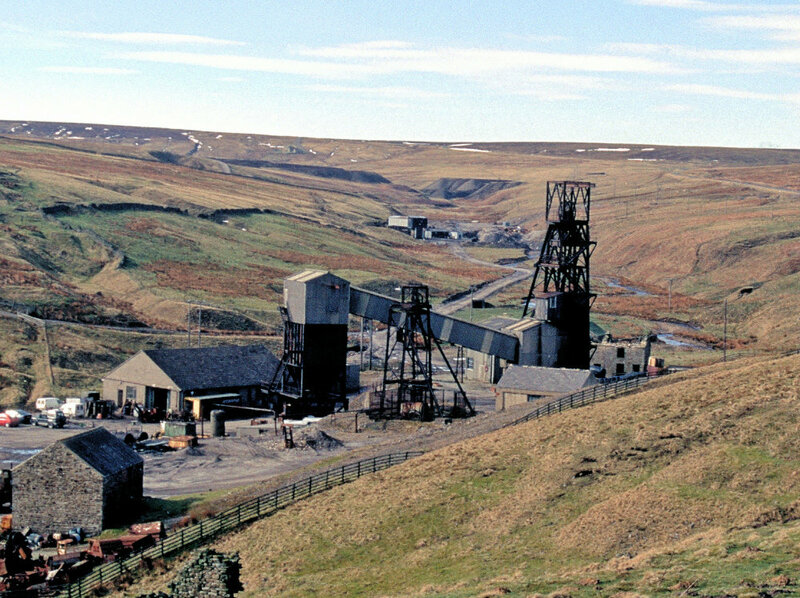 The photo was taken in 1999 shortly after the closure of both mines. The sites have largely been cleared since, and the only thing that now remains is the main Groverake head frame.